Images from Natural History, 16 x 20 inch cynotype impressions over digital prints, installation at the Portrait Society, January 2013.
and that means being dark and taking pains. In Natural History, plant forms reveal, conceal and integrate with portraits to form images of women in the ripeness of their years. We have created these images in our gardens, to observe, study and understand the natural order of things. From bud to full flower to seed, the images reflect emergence through a growing season. Flowers which we raise now for ornamental beauty were once essential in culinary, medicinal and magical arts. They were used symbolically in literature, religion, and mythology as connections to the mysteries of birth, death and regeneration. Overlaying the portraits with flowers reconnects and evokes these histories providing a context for considering maturity in a culture preoccupied with the preservation of youth. The women we photographed are friends, family and mentors. Their poses reference Roman portrait busts which honor lineage and express the authority and dignity of their subjects. Experimentation with the cyanotype photographic process brought the portraits and flowers together and reveals rich alignments of nature with history. The cyanotype is produced by a light sensitive iron salt solution, which we applied to our digital portraits. The images are then overlaid with plants from our gardens and exposed to sunlight, leaving shadowy blue impressions. The variations of blue veiling on the portraits are a combination of exposure and brush application, making each image unique. Prussian blue (the result of the chemical interactions of the cyanotype process) is a color rare in nature. It is a hue of royalty and higher vibrations, the color of shadows and twilight and of transition at death. 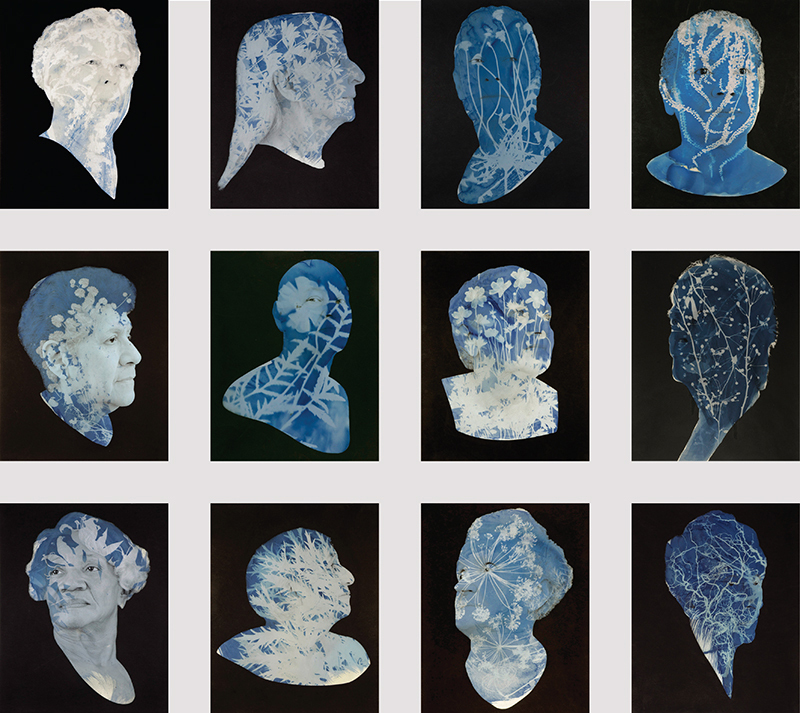 By creating cyanotypes over the portraits, we merge contemporary digital technology with early photographic processes. Through the 1840's, pioneer photographer and botanist, Anna Atkins, used cyanotype impressions to create books documenting British plant specimens, and is credited with being the first woman to use photography in her books of British flora. The process reminds us of photography's ability to render both the empirical and the interpretive. Lyrical, tribal, dark or veiled, the botanical forms and human features coalesce in each image. In shadow and light, in continual flux, the material and immaterial mingle in gardens of infinite connections. 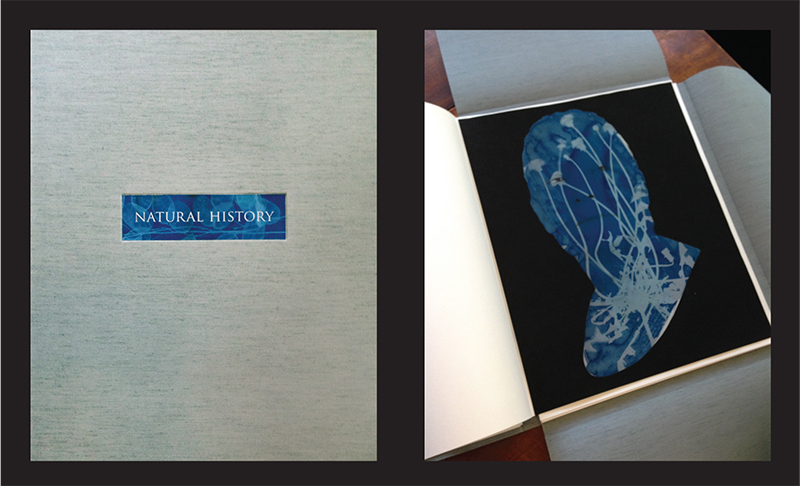 The Natural History portfolio is a suite of twelve cyanotypes printed over archival pigment prints. Each print has a slip sheet with taxonomic notes designed to reference a botanical herbarium. The prints are housed in a custom archival case with a frontispiece, title page and colophon. 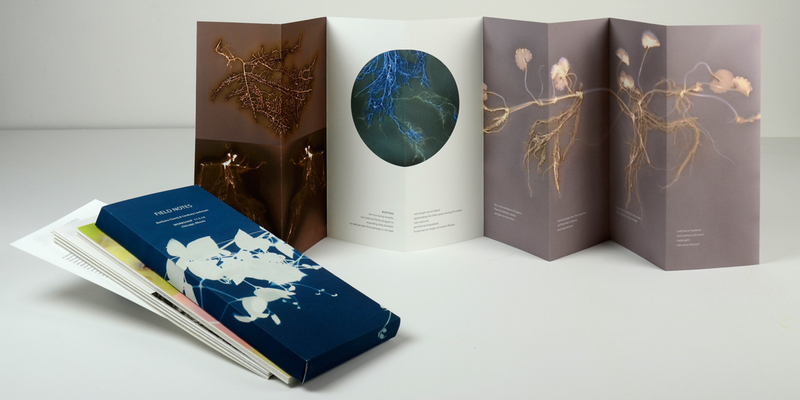 Edition is limited to four portfolios, each containing 12 unique prints. Individual prints are also available. Contact the artists for pricing. workshop done in conjunction with the Natural History exhibtiion accompnay images created in response.